Lovers sitting on a bench in the park is a good present for people in love, engaged or married. Your photos will look nice in the heart-shape photo frame. 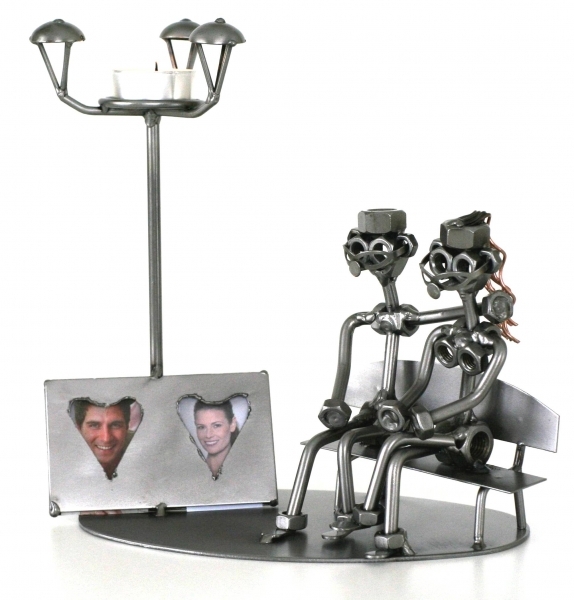 It is a perfect valentine, wedding or engagement present for every couple.